This paper proposes a new methodology for out- door mutual relative localization of UAVs equipped with active ultraviolet markers and a suitable camera with specialized bandpass filters. Mutual relative localization is a crucial tool for formation preservation, swarming and cooperative task completion in scenarios in which UAVs share working space in small relative distances. In most current systems of compact UAV swarms the localization of particular UAVs is based on the data obtained from motion capture systems for indoor experiments or on precise RTK-GNSS data outdoor. Such an external infrastructure is unavailable in most of real multi- UAV applications and often cannot be pre-installed. To account for such situations, as well as to make the system more autonomous, reliance on onboard sensors only is desirable. In the proposed approach, we rely on ultraviolet LED markers, that emit light in frequencies that are less common in nature than the visible light or infrared radiation, especially in high intensities. Additionally, common camera sensors are sensitive to ultraviolet light, making the addition of a filter the only necessary modification, keeping the platform low-cost, which is one of the key requirements on swarm systems. This also allows for a smaller size of the markers to be sufficient, without burdening the processing resources. 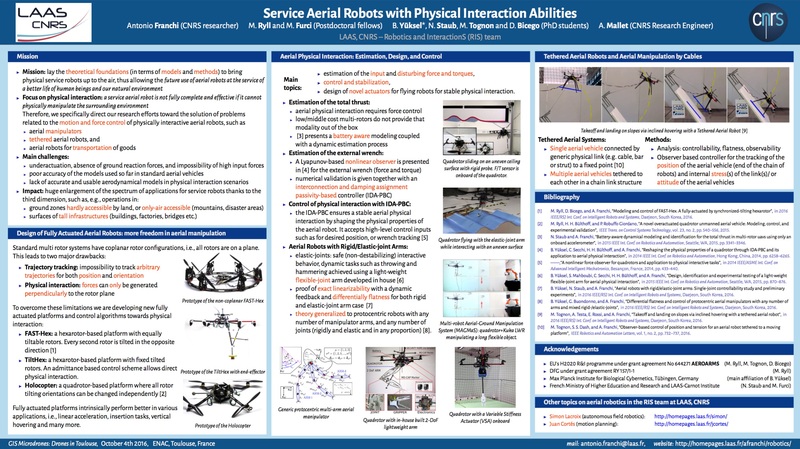 Thus the proposed system aspires to be an enabling technology for deployment of large swarms of possibly micro-scale aerial vehicles in real world conditions and without any dependency on an external infrastructure.